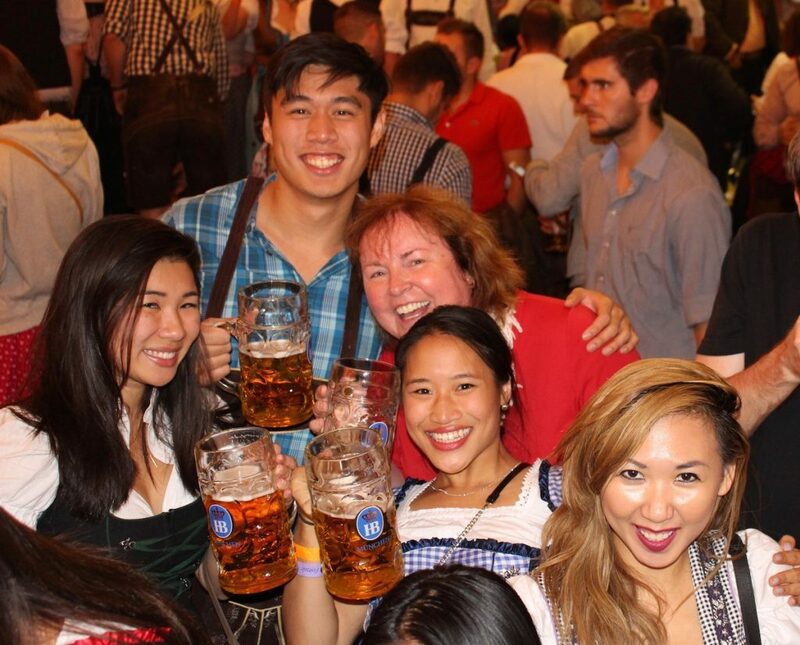 And just like that, another 16 days of partying is kicked off for our Opening Weekend Packages at Oktoberfest. 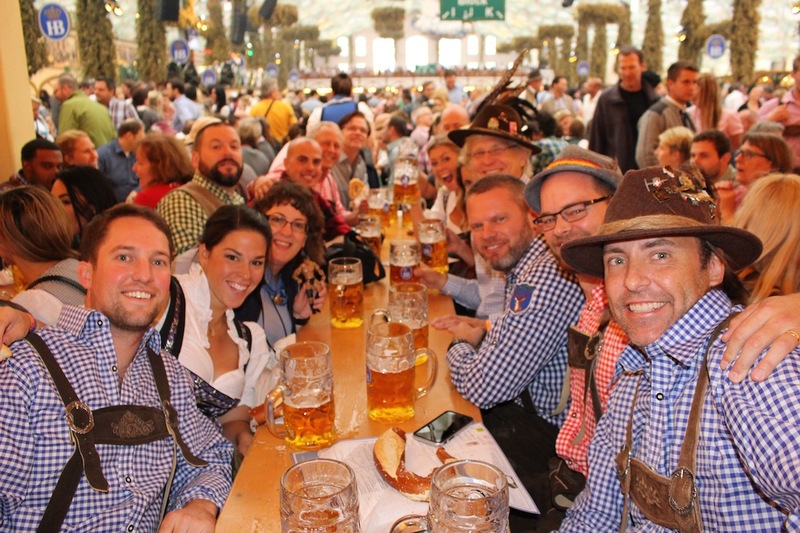 Opening Weekend Packages at Oktoberfest are a little bit different than the rest of the celebration. 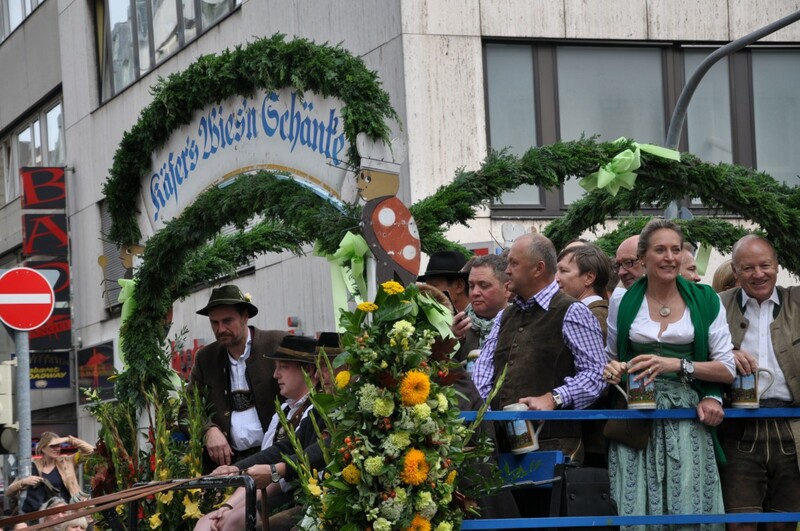 Oktoberfest kicks off with a parade on the second or third Saturday of September and commences at noon when the mayor of Munich taps the first barrel and cries “O’zapft is” (It’s open) after which party-goers join the drinking fest with a Prost! 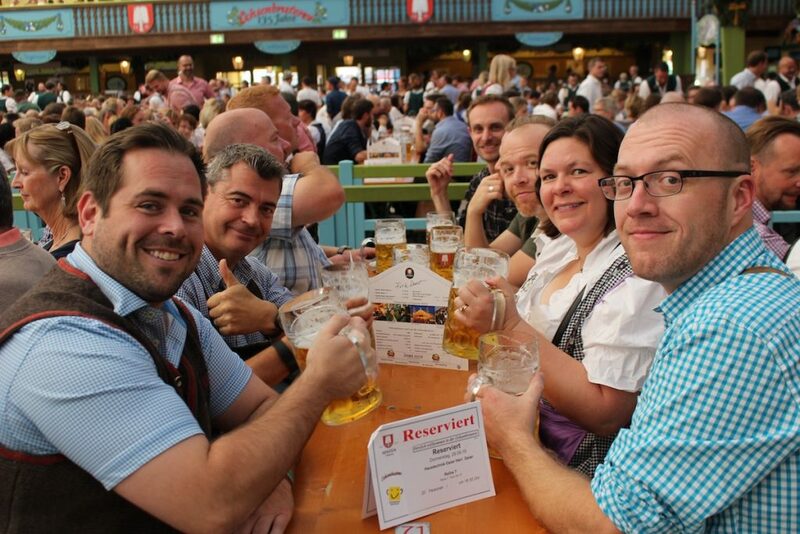 (Cheers!). 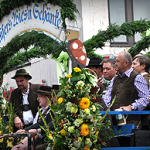 Girls and guys alike dress in the traditional Lederhosenor Dirndls, respectively, and sing along with the ever-popular Bavarian drinking song Ein Prosit ein Prosit. 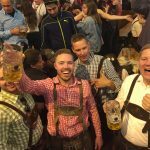 Known as the Largest People’s Fair in the World, Oktoberfest in Munich, Germany is Europe’s largest beer-drinking affair drawing 6-7 million visitors each year that consume more than 6 million liters (1 million gallons) of Bavarian brews. 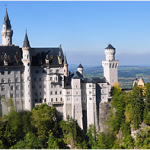 The first Oktoberfest occurred in 1810 with a horse race and fair to celebrate the marriage of Crown Prince Ludwig (who became King Ludwig I) to Therese von Saxe, after whom “Theresienwiese” (the Oktoberfest grounds) was named (known as the “Wies’n” to locals). 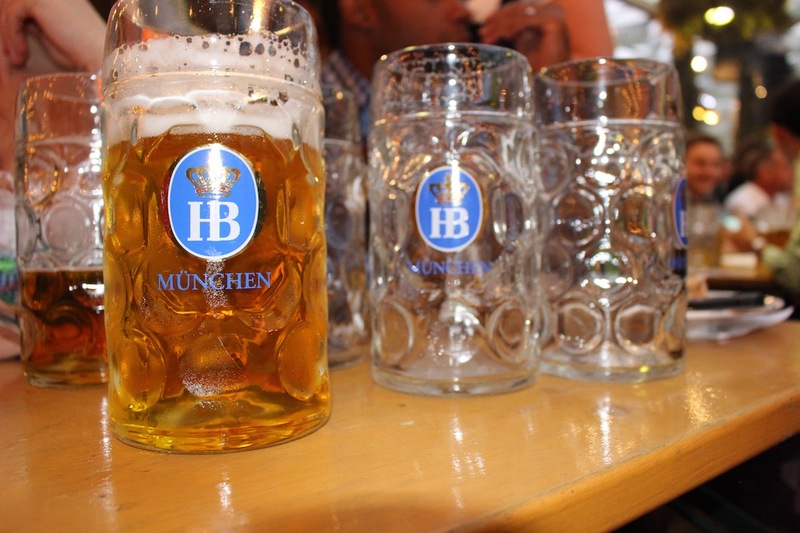 Though beer drinking didn’t become a major part of the celebration until 8 years later, Bavarian brews and food are now the major focal point of the event. 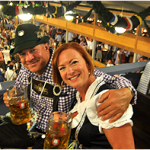 Let us put you where the action is during the opening of the Oktoberfest!